May 2016 - my name is Food. 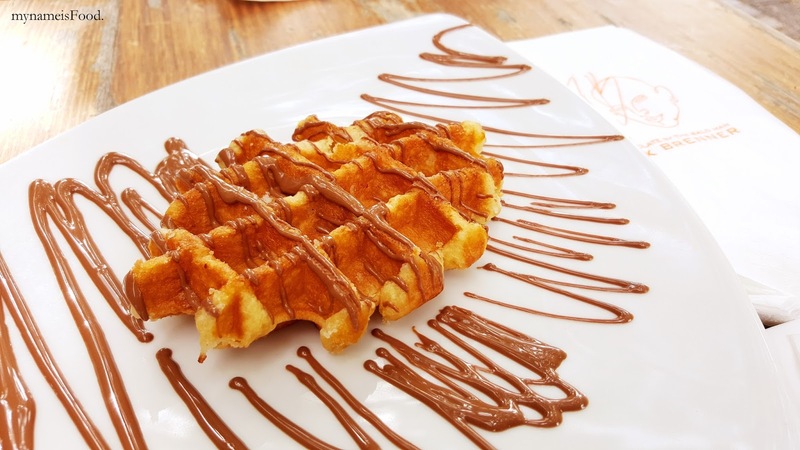 Max Brenner, one of those chocolate places where you wish they would extend their opening hours. 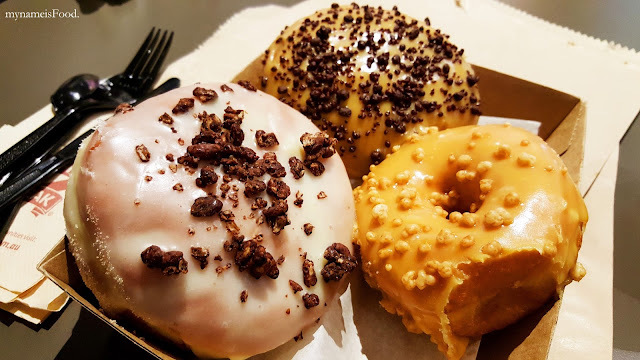 Sometimes when you feel like getting your sweet fix after dinner, it is sometimes rather hard finding a place to go to and now, the only dessert places that is open at night would either be at south side or west end and maybe the city but then, having an only dessert restaurant itself then omits many options. Always a great place to meet up with friends or during a date night or even with a family however do know that there are usually long queues during peak hours especially weekends and friday nights. 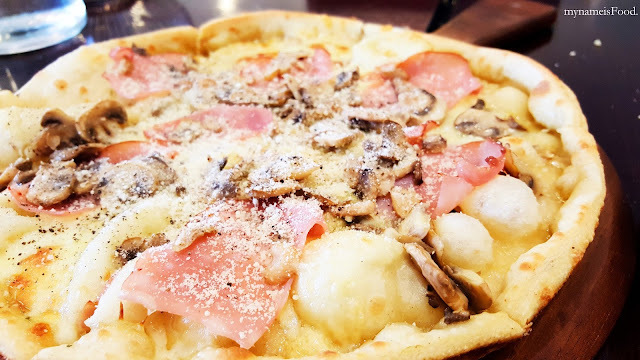 Lunch deals are a great option to try the different dishes on offer but do note that none of the lunch dishes are available on the main menu. 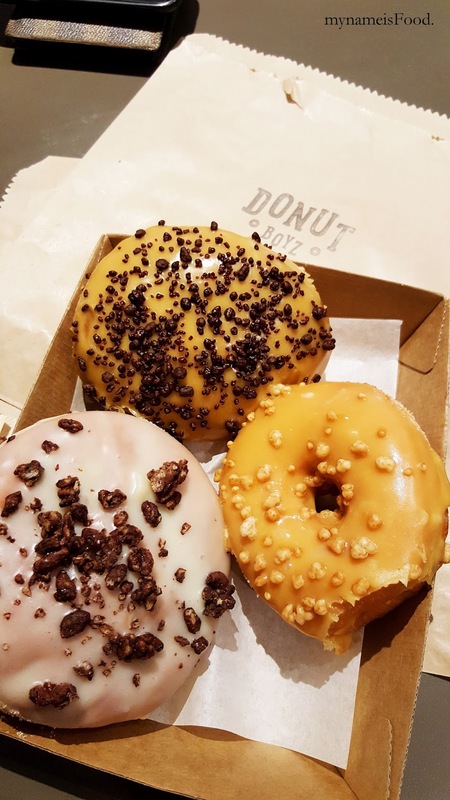 I do assure you that their pizza doughs are more delicious than you may think, not like your ordinary takeaway doughs. Yes, you can even order and get takeaways to bring back home to share with family and friends. Having a wide variety of pasta dishes allows you to choose what you like as well as for those who aren't feeling like pasta, then why not try some of their mains such as Barra or Steak and so on. If you like to eat fried chicken with one hand and have a nice cold beer on the other, then you definitely have to try Momo Chicken and Beer. 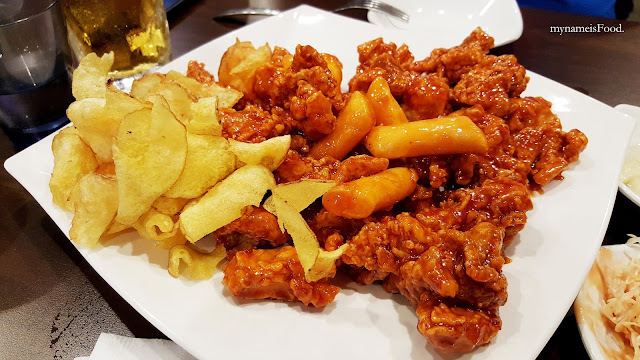 Although it isn't your typical KFC (Kentucky Fried Chicken), these are also called KFC (Korean Fried Chicken) and do offer a different way of serving your usual fried chicken. With great variety in terms of flavours as well as other dishes other than chicken if you're not up for a full fried chicken meal or just wanting to have something extra on the side. 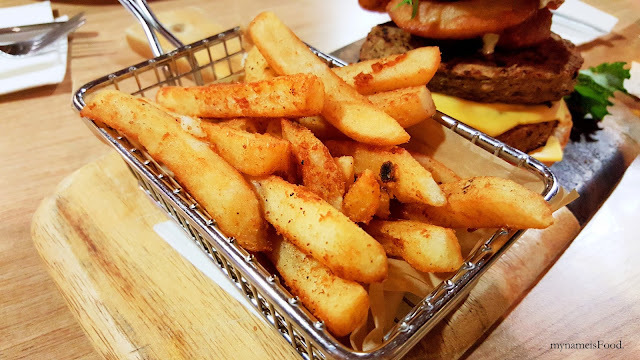 Whether you want saucy or just original or even marinated in spicy sauce, soy sauce base or even a mixture of half and half, you simply can spice it up here and yes, you do get a side of crispy thin golden potato crisps with every fried chicken ordered. 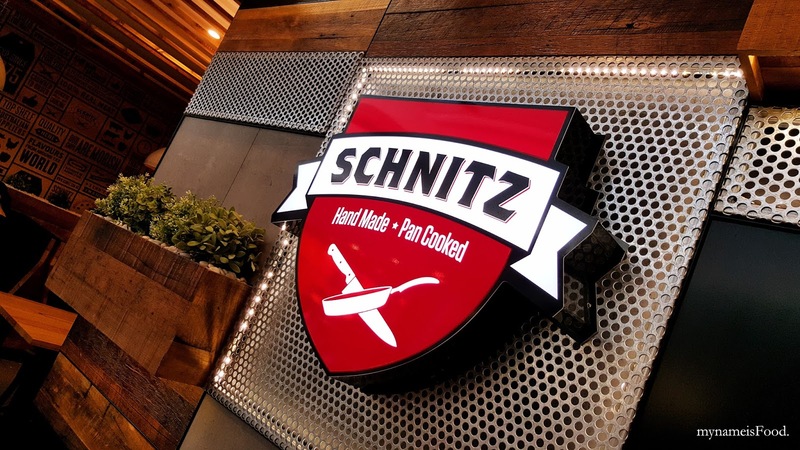 Schnitz began in 2007 with a single restaurant by Polish born schnitzel expert which featured his signature schnitzel on every menu. However, his sons decided to perfect the art of schnitzel making by making it made to order, pan cooked to bring the best out of their of their special crumb. 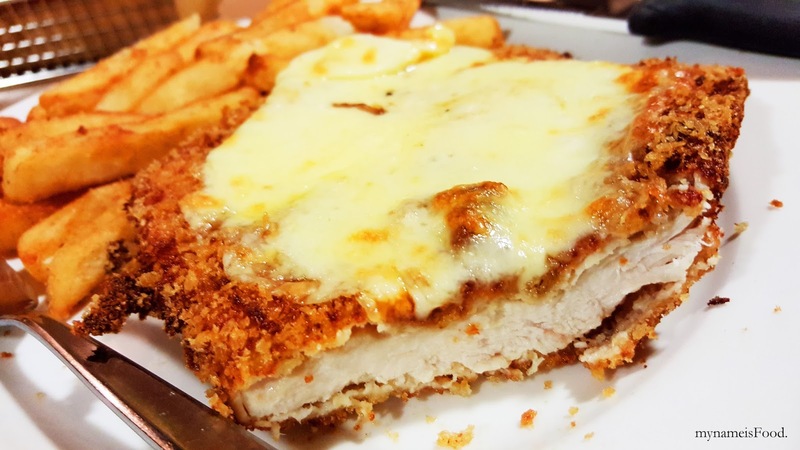 Although they do state that they want to be able to keep bringing the benchmark in schnitzel making by combining the freshest ingredients and modern methods in every schnitzel they make. But does it really live up to what it says? Temple Thai is located on Park Rd at Milton delivering delicious Thai dishes and has a bar behind called Tuk Tuk bar. 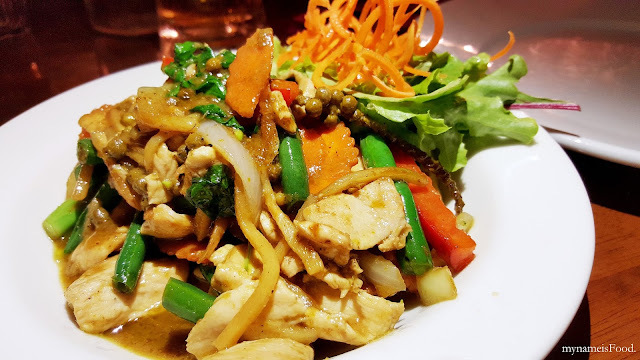 I would usually not go to a Thai restaurant in Milton but the mister told me that it was not too bad when he came with his friends the other time. We started with Singha beer while we looked through the menu. 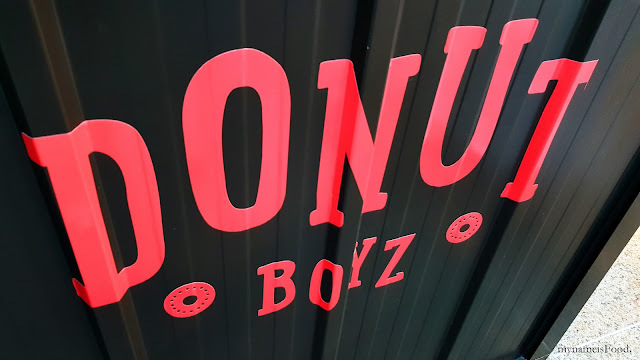 Donut Boyz is one of the many donut businesses nowadays trying to get everyone back to their donut craze back in the days. Don't think of your usual cinnamon donuts, these are sugar glazed or jam filled, even topped with your favourites. Starting by a trial of a pop-up stall selling homemade donut and having many sold out donuts every day, it was said that they even regularly sell more than 1500 donuts in just a few hours. Since then, they expanded and opened in multiple locations. Seeing that we were having a walk in the mall, we decided to stop by and grab some donuts as they were in the mall and seemed quite convenient rather than us having to go out and grab them off their food trucks elsewhere. 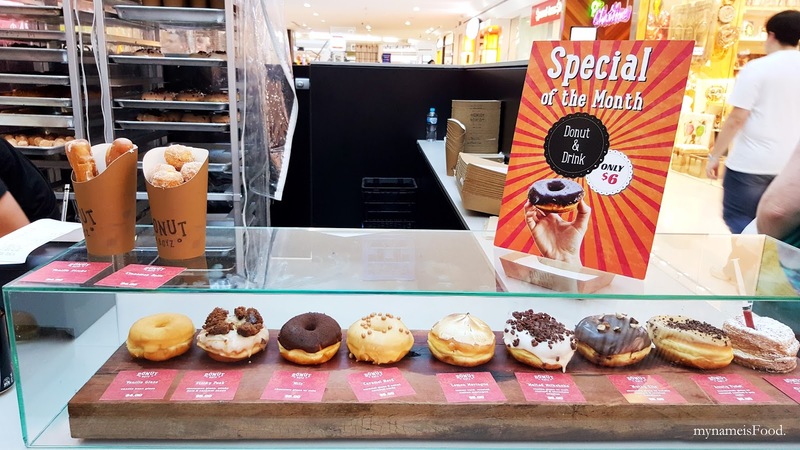 Some were sold out and sadly some of the flavours we had wanted to try and buy originally were not available and so, we ended up buying other flavours that were available. 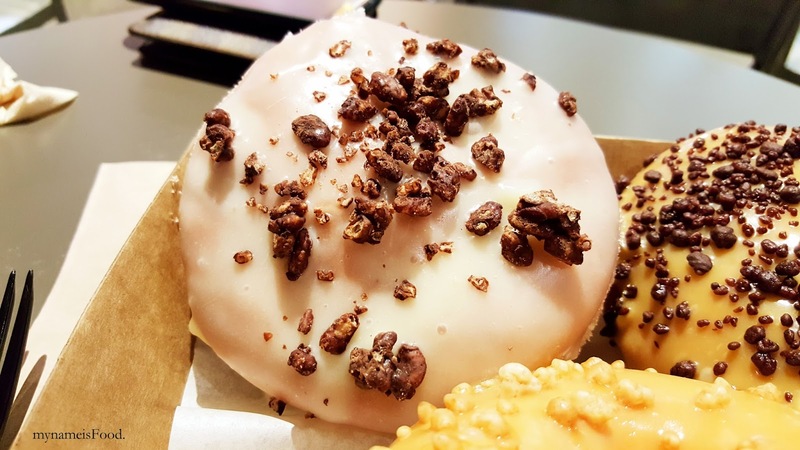 'Malted Milkshake' ($5) was a vanilla glaze donut with malt custard filling and chocolate crispies on top. 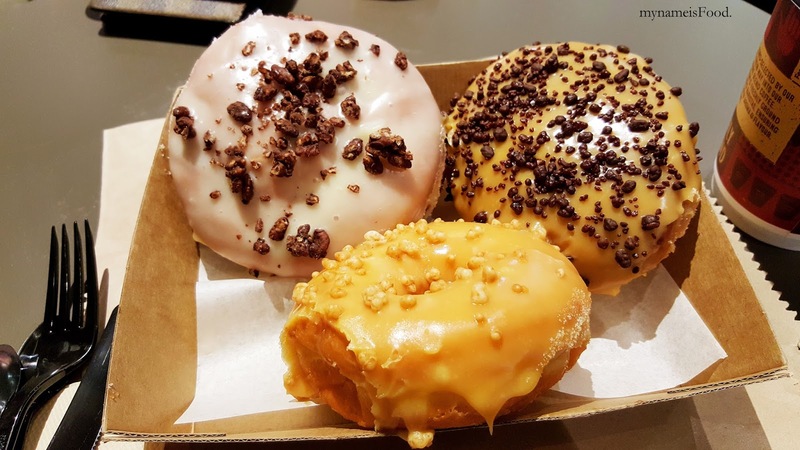 'Aunty Violet' ($5) was a honeycomb glazed donut with caramel custard filling and pop rocks on top. 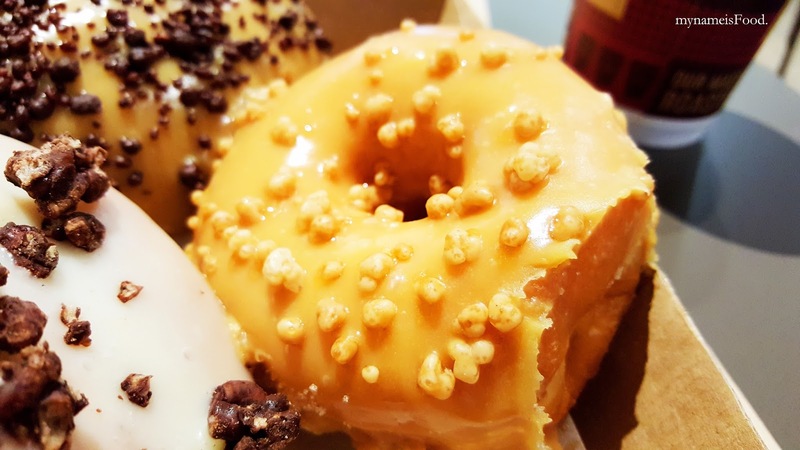 A sweet throughout donut having a honeycomb glaze and caramel custard inside it. I prefer the Malted Milkshake if I had to choose one out of the two. 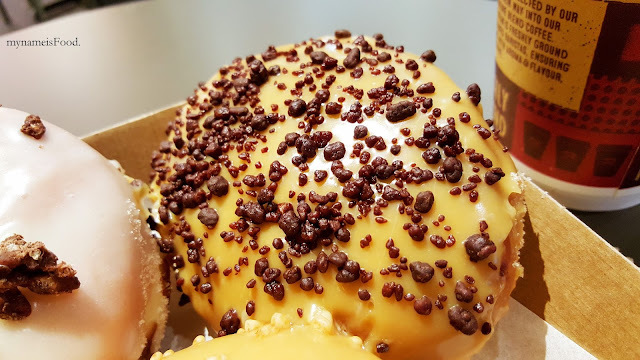 'Caramel Nerd' ($5) was a caramel glaze and has salted caramel nerds on top. I have to say that this was quite sweet compared to the others and that's no surprise being all caramel. I quite liked the salted caramel nerds on top as it balanced the sweetness overall with the salty little pops. The Glen Hotel is only 15minutes drive from the Brisbane CBD and also having free parking on site is always handy. What you may not know is that this is kind of your typical tavern but then, there's a hotel which is surprisingly 4.5 star accommodation in which I am unsure why there is such a high rated star hotel over in the Southside.. The Glen Hotel has two main dining areas which is one, The Garden Grille Restaurant and Bar which features their newest signature steak and seafood restaurant with an Executive Chef of Cha Cha Char fame and then there is The Deck which features more of your bar, bistro and pub food, basically more of a casual dining and gaming lounge feel. Oh, and if you're only looking to have a drink? Then there is even a bottleshop drive through available on site. You can always see it being crowded every peak hours especially after work, friday nights and on weekends. So don't be surprised if it takes awhile to get a seat or even eat with loud noises around you. Silly me... I forgot to take a picture of the Specials of the day which I did end up choosing after browsing through their wide variety of food on their menu. 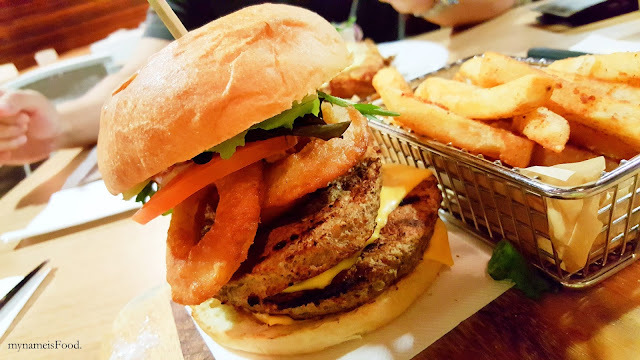 This was the 'Double Kangaroo Burger' served with beer battered fries. I, at first did not realise it would be this big as I wasn't sure of what to get at the start. There were just so many delicious options to choose from. The beer battered fries were fried to perfection, crunchy on the outside and soft on the inside. The Kangaroo Burger itself was quite big in a way that it was stacked nicely and presented well on a chopping board. 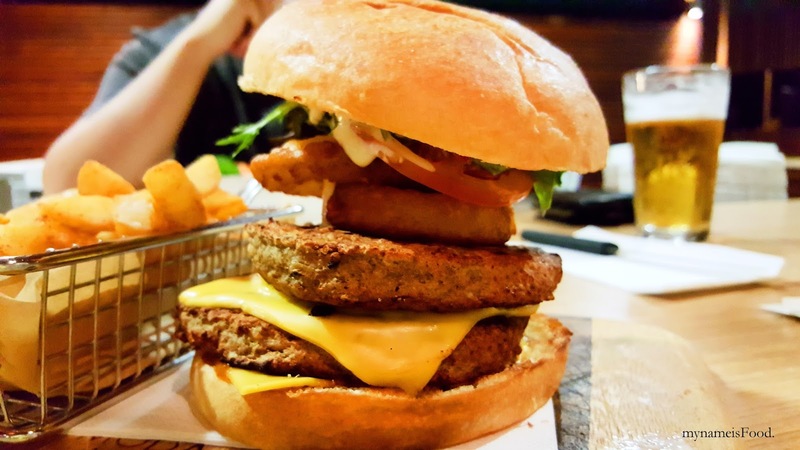 It had double kangaroo patty, double cheese, onion rings, rocket and tomato and also a mayo dressing. The cheese just seemed like your typical cheddar cheese slices you get from your local supermarket. 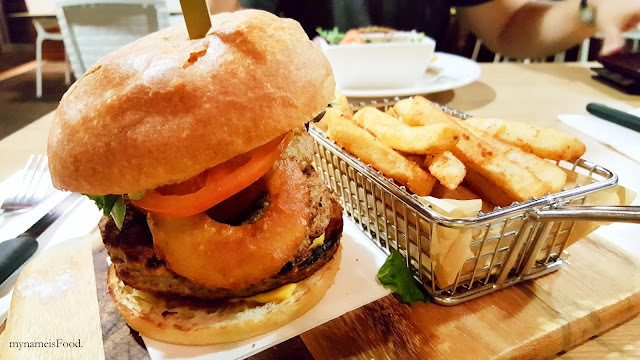 Having the onion rings there gave the burger a crunch as well as having the simple salad. 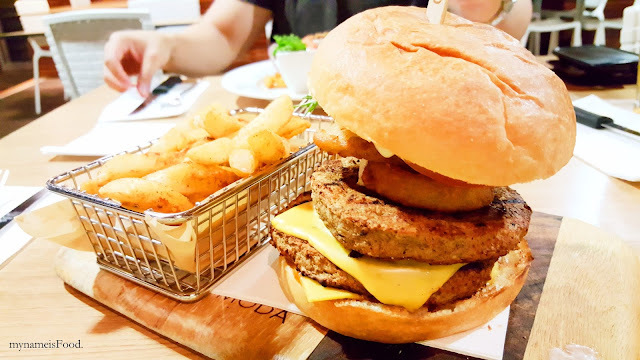 However, the double kangaroo patty was great but they were both just quite thick in size so it can be a bit troublesome when you do want to grab it with two hands and take a big whole bite. 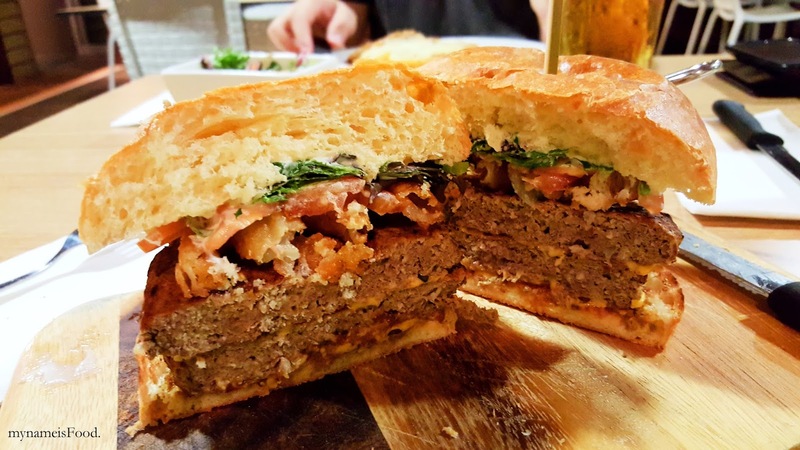 Nicely cut in half showing each of the elements in the Kangaroo burger. 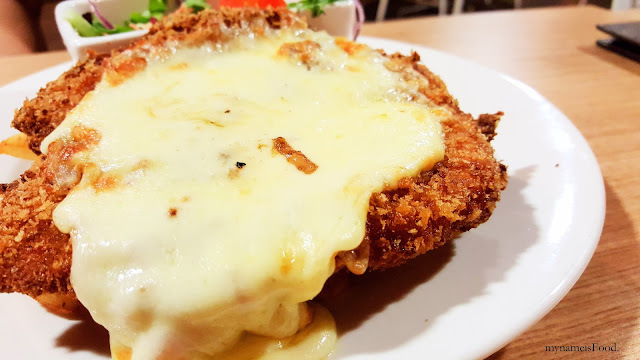 'Chicken Cheese Schnitzel' ($13) was a golden crumbed chicken breast schnitzel topped with melted mozarella cheese served with beer battered fries and salad. If you would like to add a topper then you can do so too. 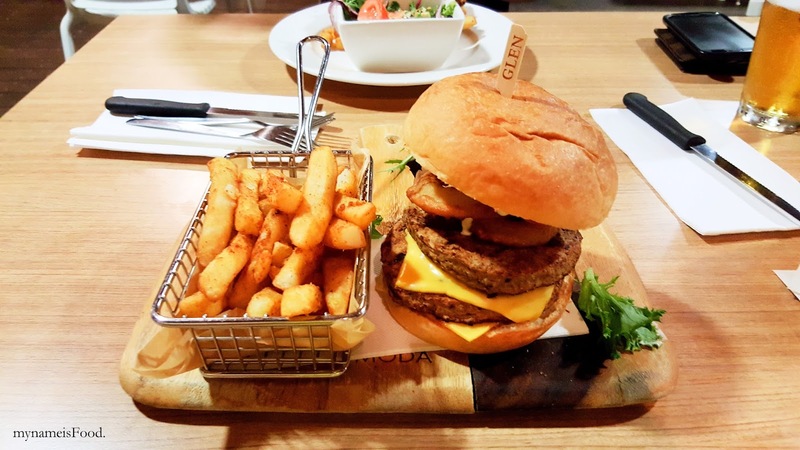 The portion is quite big and the chicken schnitzel was golden crumbed and I have to say that for the price, it was definitely worth it. 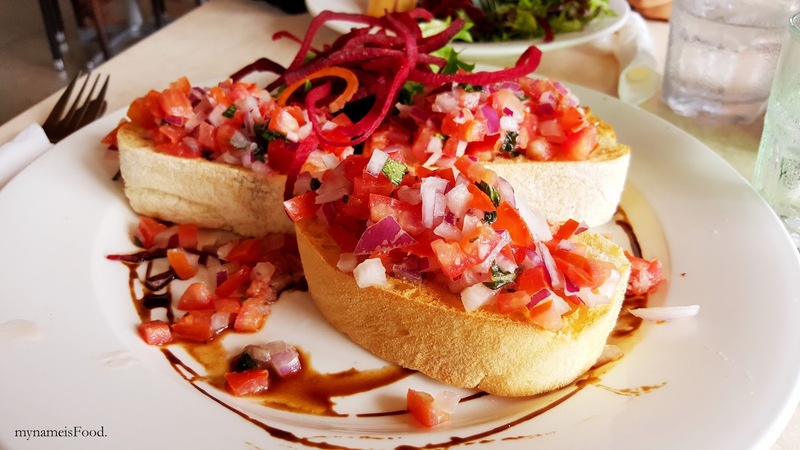 The side salad was fresh with a mixture of mixed leaves, red onion, tomato and cucumber with a light salad dressing. The beer battered fries was fried well and fried food is always great with fries/chips. 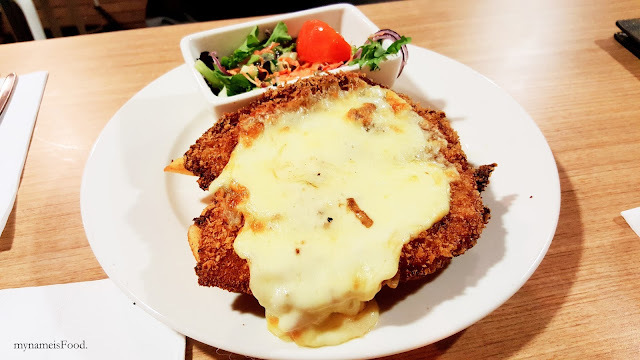 The golden crumb was crumbed well thinly with the right amount of salt as well as the melted mozarella cheese gave the schnitzel the extra punch. It is nice to see that a full chicken breast meat has been used instead of sometimes being more of a thick crumb than the meat itself.